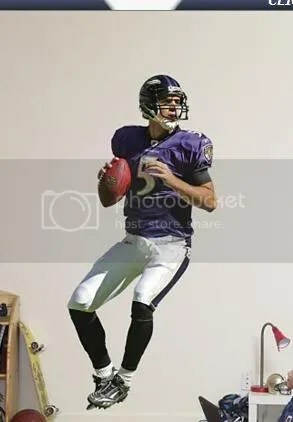 After about 4 years of only offering Ray Lewis and the Ravens logo/helmet, the guys over at Fathead have finally stepped it up and added some more options for Ravens fans. 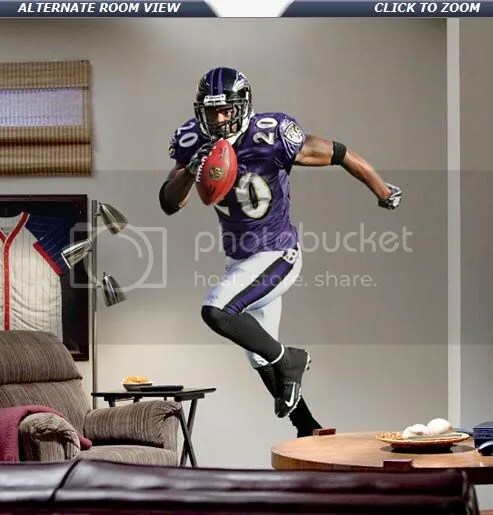 Although the Fathead commercials have been showing him on the wall like he was available for years, up until this point you could not get an Ed Reed Fathead. This situation has been remedied. Also now available is everybody’s favorite single-browed QB, Joe Flacco. My Ravens room just so happens to have an empty wall at the moment, so head on over to Fathead.com and give back for all this free entertainment I provide to all of you. Unless, you know, you want to. This entry was posted on September 22, 2009 at 9:37 am and is filed under Random, Ravens. You can follow any responses to this entry through the RSS 2.0 feed. You can leave a response, or trackback from your own site.